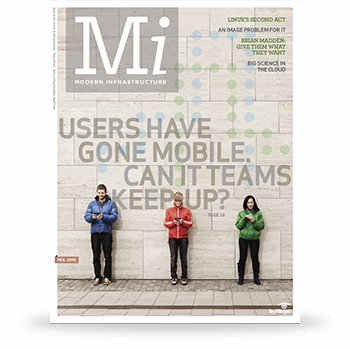 This issue of Modern Infrastructure – a monthly e-zine covering the convergence of the cloud, virtualization and consumerization trends – focuses on the mobile workplace and BYOD movement. Inside, our expert editors provide advice for how IT can enable the mobility without overburdening limited resources. This issue also covers mobile security solutions, Linux and the cloud, and how the DevOps movement could change IT’s reputation.